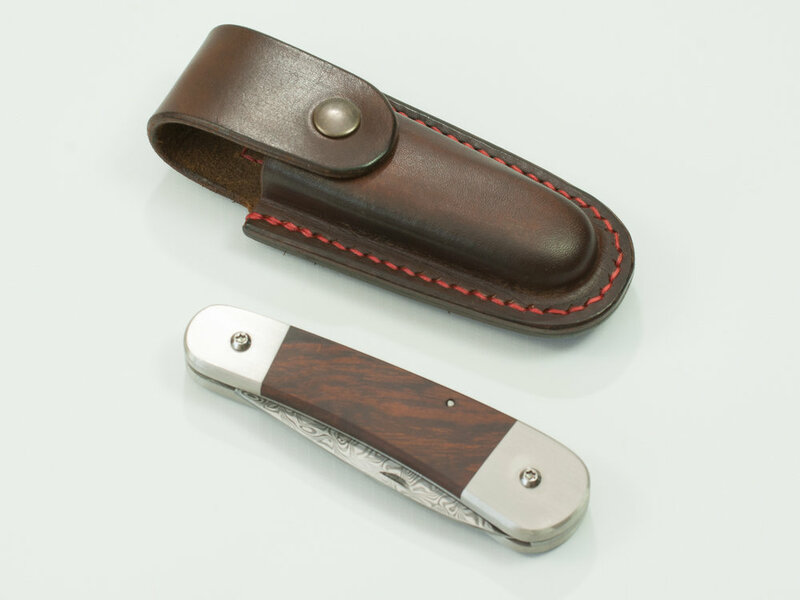 I have made several folding knives in the past and they are never in my stock for long. Consequently I never have them for sale at the shows and fairs that we attend and we are always asked for them. 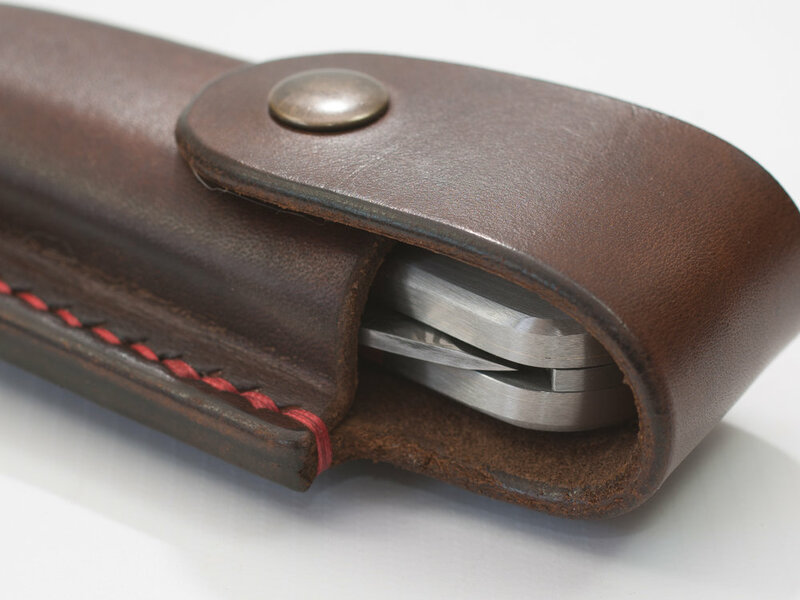 These have blades made from RWL34 a super-hard wearing knife steel that is also stainless. I have put flat ground cutting edges on these knives (Scandi Grind) for ease of sharpening and great performance when wood carving. This is the second marlin spike I have made and the first one was a bit of a surprise commission for a bladesmith. But this one isn't for a sailor but a wilderness adventurer; a bushcrafter! This one I forged from 410 stainless steel and it has a shackle key, too; all hardened to cope with the stresses and strains of its working life. 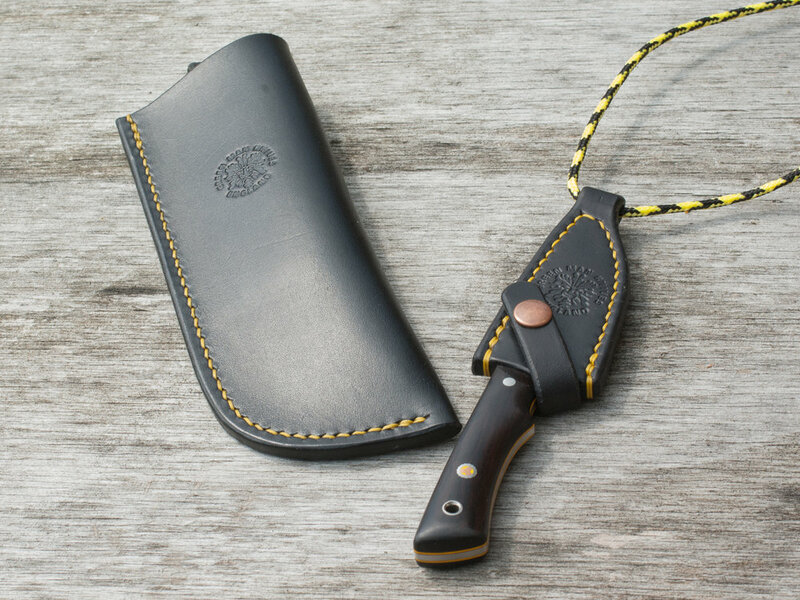 A moulded, hand made leather sheath to keep it in completes the package. All finished with the usual Green Man Knives finesse. This one is a santoku from my Seiyo range. Knives in this range have a full tang blade but Japanese style blade. 'Seiyo' means East-West fusion. This particular knife is made in a stainless blade steel that takes a superb edge but is tough enough to take the punishment of a commercial western kitchen. The handle is of yew and there is a matching saya (wooden sheath). The knife handle is fully stabilised and fixed with my unique 'hallmark' mosaic pins. The African Blackwood peg keeps the knife secure in the saya. 240mm gyuto from my Seiyo range in the same stainless knife steel with a Pink Ivory handle. Be not outraged, dear reader, no paciderms were harmed in the making of this knife; Pink Ivory is a very hard wood from South Africa that used to be reserved for use by Zulu royalty alone, such are its exquisite properties of strength and beauty. I have been ploughing through the order book today to catch up on the commissions I have stacking up. From a little 2" carving knife through sets of chef's knives to another of my big 'Marines Hunter'. All these knives are in RWL-34, a steel which I've been using for quite a few years now. Made in Sweden, it is stainless, takes a superb cutting edge and is extremely hard and wear resistant without being too brittle. "What's the down side" you maybe thinking. Well for me it is quite a fight to get a fine finish on. Many heroic polishing belts met their doom today to get these blades ready for the polishing mop. For my customers, however, there is no downside. It's just about as perfect a knife steel as one could get!